Michael Eck - STEER FOR STUDENT ATHLETES INC.
"My involvement in being a founding donor of Steer is based on my passion for sports and my strong belief in the potential of sports as a vehicle for positive experiences that can impact lives. I am honored to have a chance to use my leadership skills, which I have acquired from my business experiences and playing sports, to "pay it forward" through the Steer initiative. I believe that I, as well as the founding members of Steer, have the skill set and life experiences to implement the Steer program successfully." Michael is a trusted advisor to public and private boards, senior management teams, entrepreneur owners and financial sponsors. 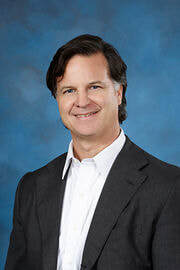 Michael has provided strategic advice to domestic and global companies primarily in the retail and consumer space related to merger and acquisition strategy, monetization plans, capital raising, capital allocation and shareholder return policies, activism, shareholder communications and select other relevant board topics. In addition to his board role at Steer, Michael is an independent board member of The Blue Buffalo Company, the leader in natural pet foods, USA Ultimate, the National Governing Body for the sport of ultimate in the United States and he is a Member of the Senior Advisory board of Shopkick, the largest mobile shopping app in the country. From 2008-2014 Michael was the Global Group Head of the Consumer and Retail Investment Banking Practice at Morgan Stanley. He led the transformation of the group and execution of the business plan, and also led one of the most successful franchises among the peer set. Michael managed a talented group of professionals in North America, Latin America, Europe, Japan and Asia. He was also a member of the Investment Banking Management Committee and the Global and North American promotion committees. From 1993 - 2008, Michael created and led The Global Consumer and Retail Investment Banking practice at Citigroup, building the business into one of the leading franchises on Wall Street. In 1993 he was one of the youngest Managing Directors leading an industry franchise and was member of the Investment Banking Management Committee and the Global and North American promotion committees. In 2001 Michael and Dr. Tom Crawford Co-founded Altheus, an innovative health services business offering integrated personal coaching programs, combining nutrition, massage, physical therapy and mental preparation for individuals, athletes and teams. Altheus grew from a start up idea to 18 program and retail centers throughout the North and Southeast and received national and regional awards and recognition for its unique and successful health and human performance programs. Altheus was sold in 2009 to Healthrax and Healthy Fit, two successful fitness centers affiliated with preventive health companies. Michael was a full scholarship athlete at the University of Virginia from 1980 - 1984, playing QB for the first 3 years and DB his senior year due to an injury to his throwing hand. He was a starting QB as a redshirt freshman, received numerous academic and athletic awards including ACC Honor Roll and All Academic ACC. In 1987 Michael received a Masters in Management from the J.L. Kellogg School of Management at Northwestern University achieving a G.P.A. of 3.4 and receiving various academic awards. He recently received a High School Coaching Certification from SUNY Cortland to be eligible to coach in the public high school system in New York State. Michael is married and has 4 children and has used positive sports experiences to achieve better outcomes for himself and his family. The passion and belief in positive sports participation is one of the foundations for the formation of Steer for Student Athletes, Inc.